Vehicle accidents can happen out of nowhere. While accidents can happen to even attentive drivers, careful driving can reduce the risk of accidents happening. It is so essential for each and every driver to remain attentive and follow all of the rules of the road. We must all do our part to keep our roads safe. On May 23, the Worcester Police Department responded to a two-vehicle accident with minor injuries. This incident occurred at the 1 block of Lake Avenue and was reported to the police department at around 5 in the evening. Emergency personnel responded to the scene soon afterwards, and they administered care on the scene. The police department reported that one of the drivers fled the scene. The search for the absent driver is ongoing. While the extent of the injuries is unclear, no fatalities were reported, and the regular flow of traffic quickly resumed. Injuries that result from car accidents are often severe. 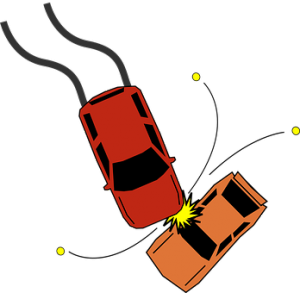 Reckless driving put everyone on the road at risk and can result in serious accidents. Thankfully, the injuries from this accident were minor, but some vehicle accidents are sadly more serious. When victims are injured, their lives can be changed in permanent and negative ways. Victims deserve to receive compensation and assistance for their injuries so they can begin to recover. At the Law Offices of Jeffrey S. Glassman, we strongly ask that all members of our community remember to drive attentively and cautiously. We are concerned members of the community and want our roads to be safe. However, we know that accidents do happen. When they do, we are dedicated to helping victims as they seek to recover their rights and recover.